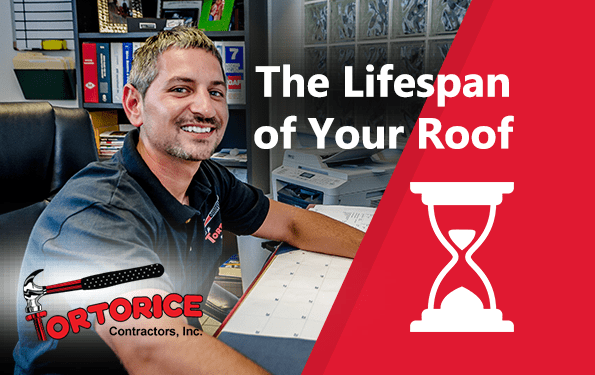 Sicklerville Roofing Contractor: Your Roof’s Lifespan - Tortorice Contractors Inc. According to a Sicklerville roofing contractor, the lifespan of your roof depends on the type of materials used, how it was installed, and how often it was maintained. For many of us, choosing a roof material usually depends on the style of the house or budget available. Most of us do not know that the material used and the installation process have a big impact on the roof’s longevity. This number can vary because the type of application can also factor in a roofing material’s longevity, such as whether it is a flat or sloped roof. The weather condition they are subjected to can also make shorten its lifespan. For example, metal roofs generally last for a long time in any type of weather or season. However, they also need to be rust proofed and weatherproofed to make them last longer in areas that see a lot of rain. Cedar shakes last a long time but are susceptible to rot and mold in cold weather. According to roofing companies in Sicklerville, choosing a climate appropriate roof can make it last longer. Roofing color- Generally speaking, the darker your roof, the more heat it will absorb which leads to a shorter lifespan. This is especially true in houses that are located in warm or tropical climates. Multiple Roofing Layers – For homeowners that are replacing their entire roof, it is better to ask the roofers from Sicklerville to remove the old roof first. Layering multiple roofs can decrease its longevity. Inadequate Attic Insulation and Ventilation – Before putting in a new roof or repairing it, consider having your attic inspected. Inadequate attic insulation and ventilation can degrade roofing materials quickly. Quality Roofing Materials and Workmanship – One of the best ways to guarantee longevity is by hiring a reputable Sicklerville roofing firm. Choosing the best materials for the roof can also impact its lifespan. EPDM or Rubber – It can last 10-16 years or longer under the right conditions. TPO – Generally has a 10-15 year lifespan, but has better UV protection compared to EPDM so it might last longer. PVC (Vinyl) – It can last 20+ years and provides better UV protection due to its light color. However, it is also more expensive compared to the other two applications. Removing loose debris like leaves and twigs that have accumulated over the winter. You can set up an extendable ladder and remove the debris by hand. Just remember to do this during the summer to ensure that the roof is dry and to prevent slippage. It is also a good idea to have somebody with you when you’re cleaning your roof. You can do this by spraying your roof with a gentle moss and mold remover. Follow the cleaner’s instructions and then gently pry away the moss and mold using a soft bristled brush. Clean the gutter and downspout. Use gloves and scoop out all the gunk in your gutter and downspout. Also check for missing gutter parts, peeling paint and missing caulk while you’re in the area. Cleaning chimney skylights and open vents. Perform any needed repairs and seal the chimney with masonry or a chimney water repellent product. You should also do periodic inspections of your roof’s condition to check for loose nails, bolts, or peeling shingles. If you know how to do basic roof repairs, you can do some preventive maintenance or call a professional roofing contractor in Sicklerville to check your roof. Always use the appropriate cleaner or remover for the task. It can be tempting to use a power washer to remove moss, mold, and other debris but the power of the hose can wear away materials like wooden shakes and shingles and decrease the lifespan of your roof. With proper care and maintenance, your roof’s lifespan should fall within its average numbers. Roof maintenance can be time-consuming but replacing a roof before its typical life cycle is over is also very expensive. Roofers in Sicklerville can give you sound advice regarding the type of material to choose and the proper way to maintain it.